The Pavilion, next to The Lechlade Memorial Hall, Oak Street, Lechlade, Gloucestershire, GL7 3YP. The Trout Inn, Faringdon Rd, Lechlade on Thames, Gloucestershire GL7 3HA. A great venue alongside the River Thames, in the marque, or in the open space, weather permitting. Cost: £3 per session to cover room hire at both venues, refreshments available. 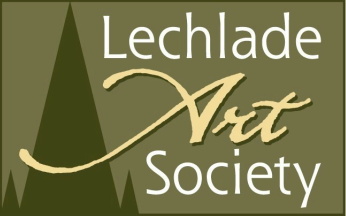 Usually, the Society holds an annual exhibition in August each year, at the Lechlade Memorial Hall, Oak Street, Lechlade, Gloucestershire, GL7 3YP, for all members. Instead, we hold our exhibition at the Pavilion, adjacent to the hall. An extra Exhibition is held at the New Inn Long Hall, Lechlade. The Exhibition gives members an opportunity to showcase their work and also to sell their work.